I have created multiple objects, while testing I applied a drop shadow style on one object and its looking very good. Now I want to apply the same style to all other objects (around 20). Is there any way like global color to create a style once and apply to other objects with single click automatically? Or I have to apply that drop shadow effect on each object one by one manually? 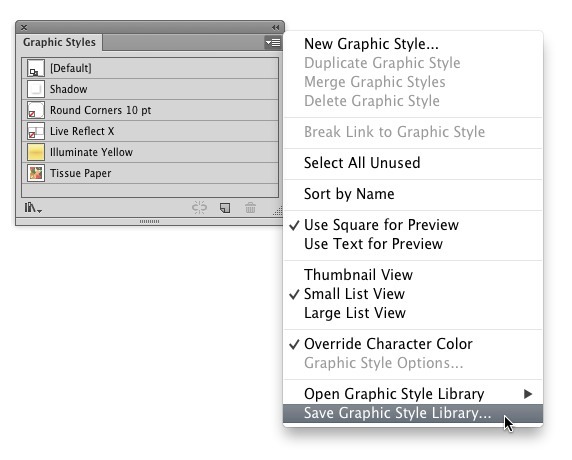 You can create Graphic Styles within Illustrator by using the Graphic Styles Panel (Window > Graphic Styles). The purpose of Graphic Styles is to quickly apply the same appearance to multiple objects or to create a library of commonly used appearance settings. 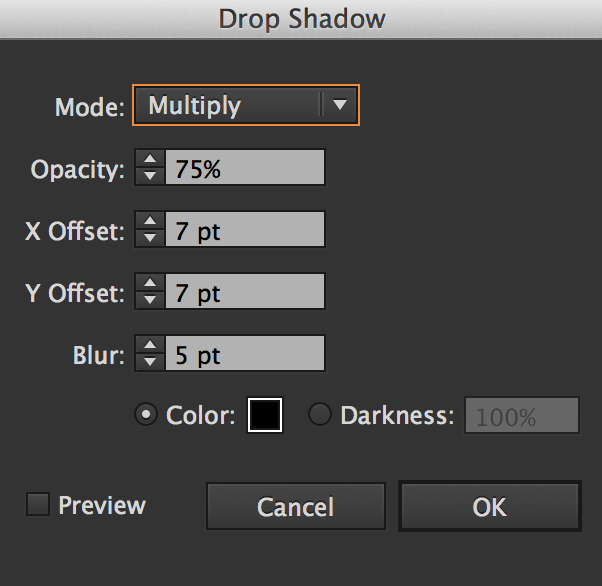 In function, they are similar to the "Styles" panel within Photoshop (but not the actual Layer style options). Simply create an object with the appearance you want, then drag that object to the Graphic Styles Panel. When you want to apply the same appearance to a new object, select the object and then click the style in the Graphic Styles Panel to apply the style to the object. To change or update a Graphic Style, start with an object set to the style, alter it how you'd like. Then drag the altered object to the Graphic Styles Panel while holding down the Option/alt key and hover over the existing style. When you see a dark black outline in the panel, let go of the mouse. The style will be updated and all objects with that style applied will update as well. If you need to reuse styles you've created for other projects, it is possible to save them as an external (.ai) files, and in turn reload them any time, from the menu for the Graphic Styles Panel. There are also several Adobe installed styles available in the Open Graphic Style Library menu item. You can read more about graphic styles in Illustrator at Adobe's site. It is not necessary to apply this type of effect manually. You can select all the objects you want at once (there are many ways to select them, one is Shift-Click when you use Selection Tool = V on keyboard) and apply Drop Shadow to all of them simultaneously. Additionally, if you want to change the color for multiple objects at once - first, you should select all the objects of interest and apply the color to them. If you want to change the color of the applied effect you probably should first expand the objects and apply the color after that. The last settings used will be preserved for the next use. How to save a symbol or graphic style in Illustrator?